The best thing about decoupage is its affordability. I’ve got a nice large olive oil bottle. Of course it’s been long since I used up all the original oil from it, but I still use it for my plant oil in the kitchen. As you may read it here keeping your plant oil in a plastic bottle is not a good idea. So, I always pour it into the glass one after I open it up. 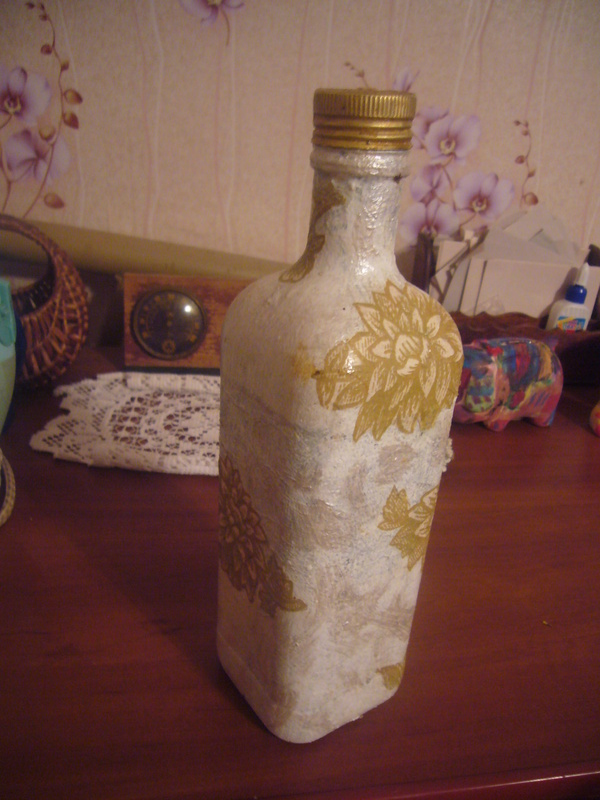 I have already once decoupaged this bottle, but it got oily and messy over a time. So, I just decided to redo it. I’ve this new nice napkin flower pattern and I have already used it to decoupage my old cabinet. I cleaned the bottle. I did not remove the old paint layers from it. I just rubbed some sandpaper on it to help the new paint get better adjusted to the bottle. And I removed the old grease using window cleaning spray. 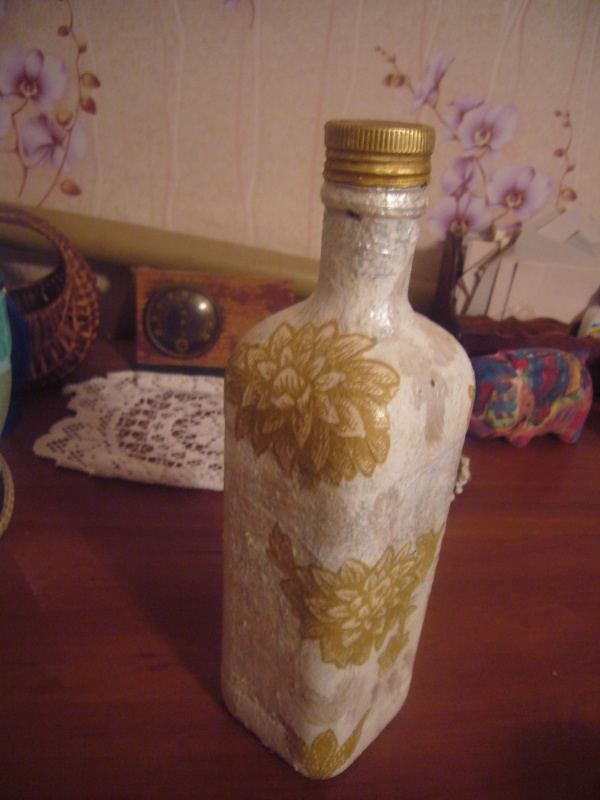 Then I repainted the bottle and decoupaged it all anew. Now it looks of refreshed and nice once again. This entry was posted in Decoupage ideas, Uncategorized and tagged crafts, creative tips, creativity, decoupage, decoupage how to, decoupage tips, DIY, glass bottle decoupage, handmade, home decor, housekeeping, paper crafts, upcycling. Bookmark the permalink.